Sleek Woods Accord: 2 Patchouli essences are wrapped in the creaminess of Madagascar Vanilla, rich Amber Wood and soft Musk to create an undeniably sensual finish. Sparkling Jasmine Accord: The youthfulness and magnetic femininity of the Modern Muse is captured by the scents of the Exotic Mandarin, Honeysuckle Nectar, Dewy Petals, Jasmine Sambac China Absolute, Tuberose Fleur and Fresh Lily. 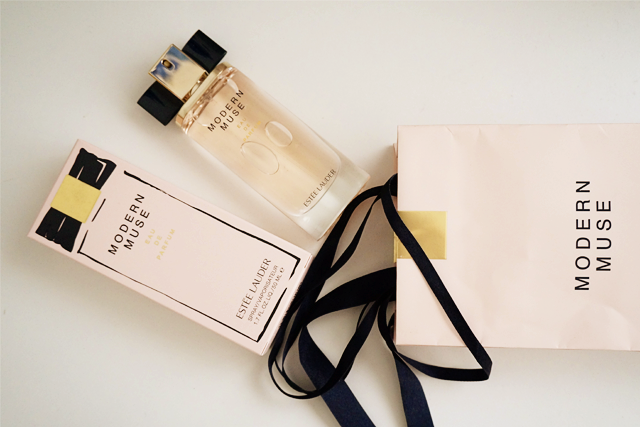 The goodness of Estée Lauder's Modern Muse comes in 30ml ($88), 50ml ($130) and 100ml ($192). It is also available as a body lotion ($80) and shower gel ($80).